The Kanga Boo is a shopping cart support belt for Infants and Toddler. 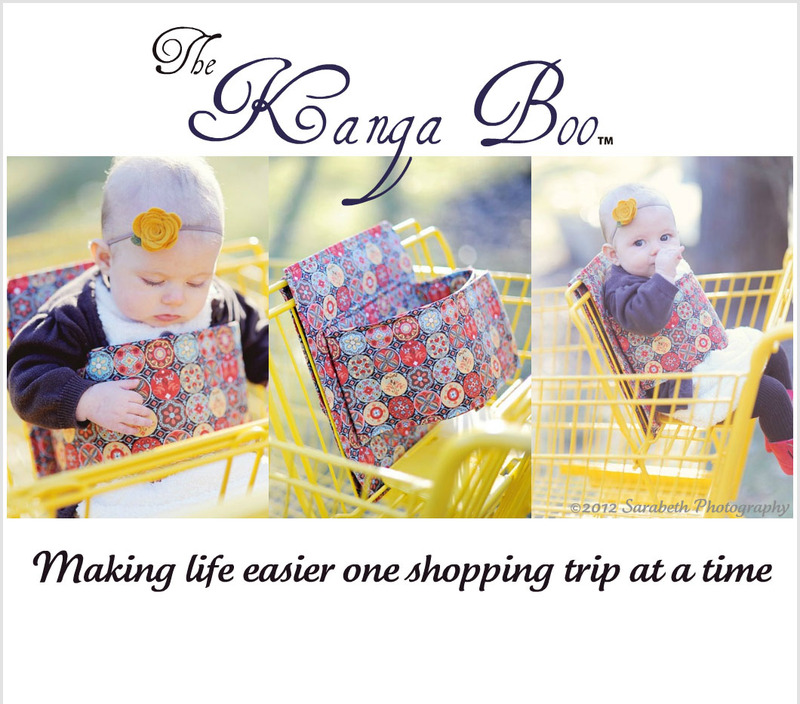 Unlike a shopping cart cover the Kanga Boo fits around the child and keeps them upright. Little ones love sitting upright and being able to look around during shopping trips. Infants can use the Kanga Boo as soon as they are old enough to hold up their head. Usually around 5 months old. Use the Kanga Boo and leave the heavy car seat carrier in the car. The Kanga Boo fits under the seat belt giving an added layer of security. It also folds up to about the size of a travel diaper wipe container and easily fits in diaper bag or medium size purse.